These days, charitable giving or corporate community investments (CCI) is a well-established strategy of corporate practice. In last week’s article, I focused on the link between CSR, a brand identity and their effects on corporate charity. I cited, Kasapreko Industries’ launching of the Awake Mineral Water brand to raise funds for the Cardiothoracic Centre of the Korlebu Teaching Hospital as a good corporate practice worth replicating. I explained that a commonly made business case for adopting CSR is that it provides commercial benefits for organisations in the form of improved public relations and enhancement of corporate brand and brand reputation. 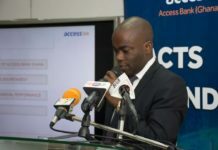 In this article, I will throw the searchlight on another local company, Tobinco Pharmaceuticals, and the Amo Tobbin Foundation – the philanthropic wing of the company which has introduced another dimension to CSR by opening an ultra-modern hospital (Entrance Teaching Hospital) in Accra recently. At the opening of the hospital, Chief Executive officer of the Tobinco Group of companies, Mr. Samuel Amo Tobbin, said the facility will extend services to the poor and vulnerable in society in line with his commitment to helping the needy. As stated in the earlier article, the concept of CSR has become associated with good corporate practices – compelling business organisations to report annually on CSR and sustainability on their websites. A search on Tobinco Pharmaceuticals’ website revealed additional CSR initiatives across a broad spectrum of issues. The pharmaceutical industry, in particular, is emerging as a dominant force in corporate philanthropy globally and is holding itself accountable – possibly as a response to the demands for an ethical investments code. In Ghana, Tobinco Pharmaceuticals manifests its commitment to socio-economic development of the country by improving the quality of people’s lives – through appropriate and sustainable social intervention across the country. Some of the initiatives include: the provision of twelve two-bedroom self-contained nurses’ quarters at Awudua, a town in Tarkwa Nsuaem Municipality of the Western Region; refurbishment and adoption of the Medical Emergency Block at the 37 Military Hospital; the construction of a Research Centre in conjunction with the University of Ghana School of Pharmacy and the Food & Drug Authority to increase access to quality essential medicines across the country. Other interventions include the provision of a 20-foot container of various medical equipment for the Government Hospital in the Bole-Bamboi constituency of the Northern Region in 2012; donations of medicines for the inmates of both James-Fort and Nsawam Prisons; payment of the total treatment cost of five (5) hole-in-heart patients at the Cardio Centre of the Korle-Bu Teaching Hospital; institution of a scholarship scheme that pays the school fees of over fifty (50) needy but brilliant students in various second cycle institutions; and the provision of equipment for the Regional Medical Stores across the country. All the donations and CSR interventions are managed by the Amo Tobbin Foundation, an offshoot of Tobinco Pharmaceuticals. Corporate Foundations are entities that receive the bulk of their income from a company; either as an initial investment of assets, a regular donation from company income or funding allocated from corporate marketing budgets. Foundations have become a key strategy of Corporate Social Responsibility (CSR), and are growing in strength in both corporate governance issues and the field of development. This is because of the sheer size of their contributions to poverty alleviation, especially in health and sanitation, environment and education. The dominant global corporate foundations include the Bill Gate Foundation, which by far is the biggest financier of research into neglected diseases of the developing world. Another Foundation arising out of the IT sector was set up by Jeff Skoll, one of the founders of eBay. Skoll established the foundation to pursue his vision of a world where all people, regardless of geography, background or economic status, enjoy and employ the full range of their talents and abilities. 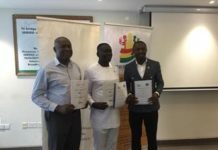 In Ghana, IT entities like MTN, Vodafone, Airtel and their Foundations are helping shape the CSR and Corporate Communities Initiatives (CCI) practice in Ghana. In the global pharma industry, brands like GSK, Norvatis, Merck, Johnson and Johnson dominate pharma philanthropy. By far, the most dominant pharma-related foundation is the Amo Tobbin Foundation – given the sheer volume of CSR activities it is undertaking across the country. The commissioning of an Entrance Teaching Hospital a few months ago marks the Tobbin Foundation out as a worthy example of pharma philanthropy in Ghana. 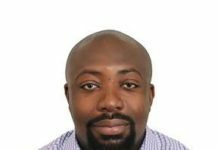 This aside, its earlier huge contributions in support of the Rebecca Foundation’s construction of a modern Child and Maternity Block at the Komfo Anokye Teaching Hospital must be noted. CSR is when a company decides to give ‘something back’ to the communities where they operate. Such interventions are aimed at building goodwill and positive relations. A key question emerging out of the debate about CSR is: why do big organisations still invest in charitable initiatives when the ‘benevolent’ state is providing some of the social amenities? First, there is an element of every organisation wanting to do the right thing. As it was in the past, today we have billionaire entrepreneurs like Bill Gates and Warren Buffet donating enormous amounts to charity as part of their personal commitments. In the context of Ghana, the Amo Tobbin Foundation is doing a great job. Second, though a corporate entity must be driven primarily by economic factors, it is worth remembering that big businesses are made up of people (workers); and most people want to feel that at least they work for an organisation that is decent and responsible to the needs of poor people. Third, working with charities to alleviate poverty no doubt promotes the ‘feel good’ factor, which can be invaluable in encouraging and motivating staff. For the staff, the opportunity to volunteer and work with others to raise money for shared causes can promote team spirit and renewed enthusiasm. Fourth, and as I stated earlier, with the rise of social media, email and the speed of Internet, access to information is harder to hide. This makes a compelling case for companies to commit to doing the ‘right thing’. Pharma Foundations, like their funding organisations, do not only exist to make profit for their shareholders; they are also expected to positively influence other stakeholders and externalities. This view is supported by renowned economist Prof. Jeffrey Sachs, when he said ‘wealthy philanthropists have the potential to do more than the group of G8 leading countries to lift Africa out of poverty”. No doubt, the emerging trend in CSR is the dominance of the pharma industry in philanthropic initiatives across the world. The activities of Pharma in CSR is prevalent in the health sector – which is why Tobinco Pharmaceutical’s construction of a hospital to provide affordable health to poor and vulnerable is a reflection of pharma philanthropy in Ghana. Perhaps, pharma’s dominance in health philanthropy is in tandem with the right of everyone to have the highest level of attainable standards of health. This is captured in the United Nation’s Declaration of Human Rights (UNDHR) and the African Charter of People and Human rights. Article 25 sets out the human right to health, to a standard of living adequate for the wellbeing of him/herself. This provision is an aspirational moral code and a vision for an ethical rights-based society. This why the Entrance Teaching Hospital initiative deserves commendation. CSR in this context means a corporation is devoting some of its profits and assets -usually medicines and its staff time – for the benefit of mankind. Like other industries, pharma does have some responsibilities and obligations to both its shareholders and stakeholders (society). In last week’s article, I distinguished between shareholder primacy and stakeholder theory to the effect that while proponents of the shareholder primacy assume that the wishes of shareholders are the overriding considerations for management; proponents of the stakeholder theory argue that shareholder primary has the effect of excluding other interests in society (employees, customers, consumers). These are called the stakeholders. A stakeholder is a group or individual that has an interest (stake) in the activities of a company. Elsewhere, pharma has been very successful in meeting the obligations and responsibility of society, as it is considered the most profitable of all sectors of industry. As a result, pharma has a ‘duty of care’ to its customers and society at large, as they are required – sometimes by contract law – to provide drugs of sufficient quality. This is why I am glad that Tobinco Pharmaceuticals has taken the giant step of providing affordable healthcare to the vulnerable. It has set the agenda which could influence others to take similar steps for improved health delivery. It is not common for a company to commission and manage its own hospital, safe for a charitable cause. One area that Tobinco Pharmaceuticals could make an impact in with its CSR drive is in the production of ‘orphaned drugs’. These are drugs used to treat relatively uncommon diseases, where there is little financial incentive to research and develop such drugs. These essential drugs are used to treat diseases common to low-income countries like Ghana, where the high cost of production will normally raise the cost of the drug. Financing orphaned drugs is usually undertaken using differential pricing; a process wherein the same pharma product is made available at different prices in different countries. The less developed the country, the lower the cost of the medicine in order to make it affordable. Tobinco Pharmaceuticals could obtain patent rights from some global pharmaceutical brands to produce generic drugs to combat what is commonly called ‘the poor man’s diseases’. These include malaria, river-blindness and leprosy. Tobinco could position itself as a local counterpart to accelerate development of the malaria vaccine and ensure its availability in Ghana. Certainly, there are economic benefits for pharma like Tobinco Pharmaceuticals to engage in CSR-related charity. Elsewhere, pharma enjoys tax-breaks and economies of scale – but the overriding reasons for CSR appears to be both doing the right thing and doing the right thing right to enhance brand image. I am on the side of those who argue that the role of business is not just to make profits for shareholders, but to help address societal needs and gain the social capital to continue operations. Kapferer, J. N. (1997) Strategic Brand Management. Creating and sustaining brand equity long-term, London: Kogan Page. Are you an easy target for Breast Cancer? RETIRING RICHLY…The bank collapse; how could it affect your pension?